Starting this year, in most locations in the United States and Canada as well as in numerous other regions around the world, Daylight Saving Time (DST) will begin on the second Sunday in March and end on the first Sunday in November. This is an earlier start and a later finish than in previous years. This can spell trouble for any device with a built-in digital clock that provides automatic adjustment for the shift between DST and Standard Time. The problem is that, unless these devices are updated for the new rules, they will shift to and from DST on the wrong dates. And those devices can include your Mac. Happily, Apple was ahead of the curve here. It provided the needed fixes as part of the Mac OS X 10.4.5 and 10.4.6 updates for Tiger. A few locations (including Alberta, Canada and certain areas of Australia and Brazil) adopted the new rules too late for these updates. For these late arrivals, Apple released Daylight Saving Time Update for Mac OS X 10.4.8, which Apple recommends installing even if you do not live in the affected zones. If you are still using Panther, Apple hasn’t forgotten you. 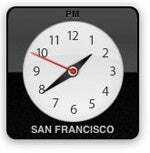 Just get the Daylight Saving Time Update for Mac OS X 10.3.9. For even older versions of the Mac OS, you’ll have to turn a third-party offering. The Public Server Services, Macintosh Division, at the University of New Hampshire features a Daylight Savings Time fix for Mac OS X 10.0 through 10.3. Unfortunately, even after installing these updates, you may still have problems with some third-party applications. For example, to get Microsoft Office 2004 (notably Entourage) to make the appropriate time shifts, you need to install Office 2004 for Mac 11.3.3 Update. For those of you still running the older Office v. X version of the Office suite, Microsoft does not provide any DST patch. But don’t despair: You can an unofficial fix from this Web page.